A new one for us, playing at Panoramic 34! 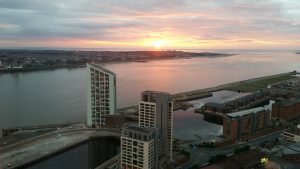 This stunning restaurant on the 34th floor of West Tower has amazing views of the Liverpool skyline through ceiling to floor windows. Mr & Mrs Egan were celebrating their wedding reception there & wanted a DJ for the evening. Apparently the first time the venue have allowed a DJ to work in the restaurant due to potential noise issues with the residents. 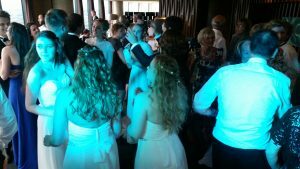 However, by working with the staff, our popular wedding DJ Andy B figured out the volume levels to keep the atmosphere for the party without disturbing the neighbours.